As the UAE continues to lead the way as MENA’s foremost technology hub, GISEC – the region’s largest cybersecurity event – provides ample opportunity for web security experts from around the world to gather and discuss the latest trends within the increasingly crucial field. Headlined by two of the world’s most famous hackers, Kevin Mitnick – once on the FBI’s Most Wanted list after hacking more than 40 major corporations – and Jamie Woodruff – Europe’s top ethical hacker renowned for hacking Kim Kardashian’s website, as well as that of Google, Microsoft, Facebook and Twitter – will take to GISEC’s first-ever Dark Stage to showcase their hacking capabilities and alert local businesses to where they could be making themselves susceptible to attack. 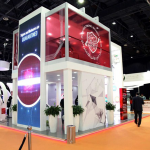 With more than 200 confirmed speakers and 170 exhibiting companies descending on the event from 86 countries, GISEC – which runs until April 3 at the Dubai World Trade Centre – will once again be the region’s pivotal cybersecurity meeting. The event runs alongside both IoTX and the Future Blockchain Summit, providing welcome opportunities for individuals, business-leaders, vendors, channel partners and subject-matter-experts to get the very latest knowledge on everything related to cybersecurity and digital tech. Speaking ahead of his involvement at the show, Kevin Mitnick said: “GISEC is a really important conference. 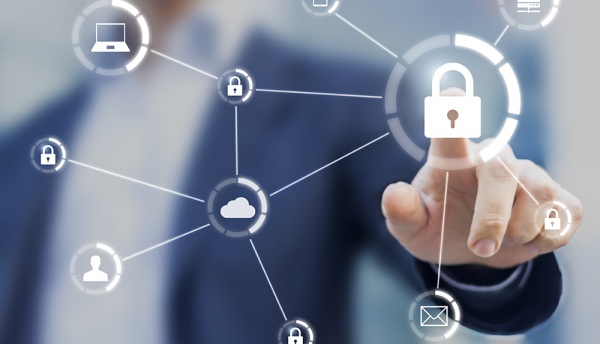 It has some great speakers and offers great networking opportunities, and at the end of the day everyone wants to get the tools they can use in their business to mitigate the chance they’re going to be a victim of a security incident. Presented in simplified ways, Mitnick – and Jamie Woodruff – will lead GISEC’s Dark Stage in offering first-hand accounts and demonstrations of how easy it is for hackers to penetrate the most hidden of system vulnerabilities – hacks that could potentially compromise the data of millions of users worldwide and bring businesses to their knees. In its largest ever edition, GISEC has introduced a raft of new features for this year’s edition. Those include its Dark Stage: a first ever for Dubai, where an open forum will take a deep dive into the Dark Web and perform exciting live hacks. The Secret Briefings, a series of closed-door lectures will be delivered by senior leaders to senior leaders, and a dedicated B2B matchmaking programme will help businesses find the right vendors and business opportunities. Now in its 7th edition, GISEC is supported by the Dubai Electronic Security Center, Smart Dubai and Dubai Police. It is expected to attract more than 12,000 visitors to interact with leading brands such as Huawei, SAP, Vodafone Business, Etisalat Digital, Recorded Future and Tahaluf Al Emarat Technical Solutions to showcase and share demos, hack and industry insights. For those looking to stay on top of the latest trends, GISEC and its co-located events will provide more than 200 lectures and workshops that will provide a wealth of information. For further information visit www.gisec.ae.